What did you love best about Sermon on the Mount? 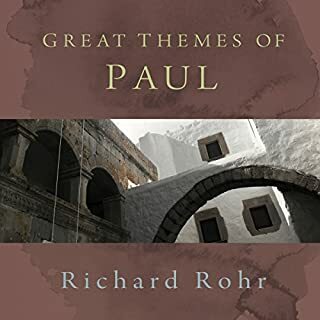 Father Rohr gives us a valuable insight to the context/times/culture that Jesus was teaching and clears up what we have either lost in translation or simply do not understand because of the language and major time barrier/gap. What other book might you compare Sermon on the Mount to and why? His inflections. You can hear him smile and he drives home the points wonderfully. It brought me closer to an understanding of God, Jesus, as I seek enlightenment. Would you listen to Sermon on the Mount again? Why? I would listen to this recording again because it is filled with deep insights that have helped me to navigate my own journey. 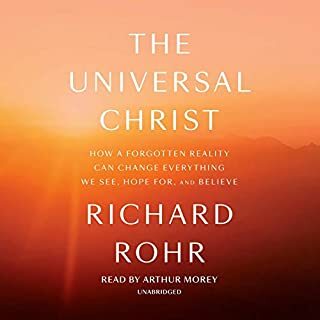 I love how Richard Rohr describes and explains the reality that Jesus brought about and continues to offer. Richard's books are also clear. But it is convenient to hear this while I drive. I did not have an extreme reaction, but I had an experience of joy. I highly recommend this sermon to anyone who is deeply interested in the deep truths of the gospels or who is open-minded enough to learn of a new spiritual insight. Having grown up in a fundamental Christian environment but now since left I have been trying to discover new ways of looking at God and Jesus and his message. This is far and away the best message I have ever heard. It feels one with Hope and exhilaration that the real truth of Jesus is accessible to everyone! 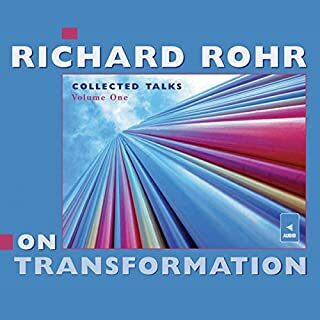 These recordings from a retreat led by Richard Rohr are full of insights and challenges. I found the teaching illuminating, the lessons transformative, and the style engaging. The earth-shattering revelations came one after another after another, so that I felt like the world had changed three times over already each day by the time I finished my commute and arrived at work! I'm going back to the beginning immediately on finishing the first time through...but the real challenge is how to live out what we learn here. Richard does an excellent job of laying the foundation for Matthew's presentation of Jesus' sermon on the mount. By the time he's finished with the foundation the actual text begins to fall into place much more easily and much more understandably. Richard Rohr is a beautiful example of Grace in action. I have enjoyed everything I have read or heard that he has done. The Truth is enjoyable to see or hear. outstanding! I'm sure I'll be listening to this many, many times. 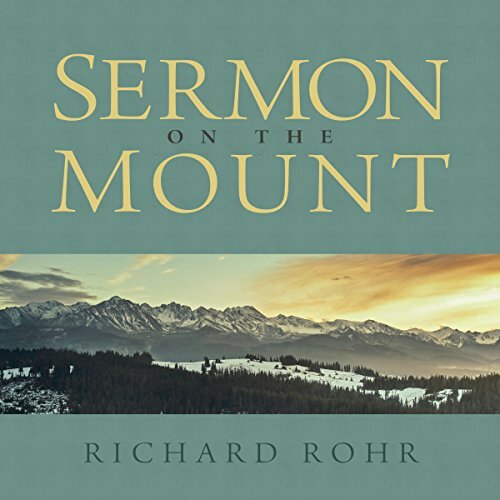 Rohr's take on the Sermon on the Mount is wonderful. Honestly, this is the best teaching on Jesus I've heard in a long time. An important teaching, particularly for an affluent audience. The Jesus encountered in this series is deeply confronting and challenging. I felt simultaneously unsettled and comforted. I can't wait to listen through it again! This is a brilliant series of explanations, and results in being a huge source of hope. The sermon is explained, and makes sense in a deeper way, because of the lead up from Richard. He simplifies the messag whilst keeping the complexity of the context. The Bible makes so much more sense, and remains so very relevant to today. The reading by the author, brought the content to life. It is one I will go back to time and again. 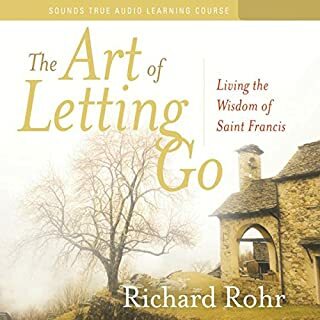 I am have not heard of Richard Rohr previously but really impressed with his insights and wisdom. It's so important to study wider subjects such as economics and sociology in the Christian context. It left me really motivated. Many great insights and jnteresting info. Can recommend to pretty much anyone, especially those interested in the sermon on the mount and contemplative life. epic! groundbreaking. .life changing stuff..
incredible. life changing stuff. 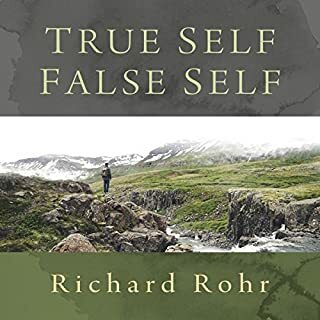 if you are sick of your small ego...Richard Rohr's teachings recommended. 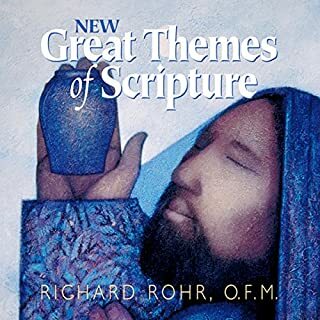 I again appreciated deeply Richard rohr's teaching and unpacking of the sermon on the mount. Deeply challenging but affirming. To complete this review I was forced to rate performance and story with stars. Not needed in this case. in this case. I just finished listening to Fr. Richard talking to me about the Sermon on the Mount. Now I just sit here , speechless. I had a wonderful experience that can only be expressed by one word: " WOW !" Thank you Fr. Richard.